Kali Linux is one of the most famous and widely used Linux distributions for security testing, digital forensics and penetration testing. It has grown in popularity so fast that it is now perceived as an essential part of every security expert (and hacker) toolkit. Click here for full info about Kali os. 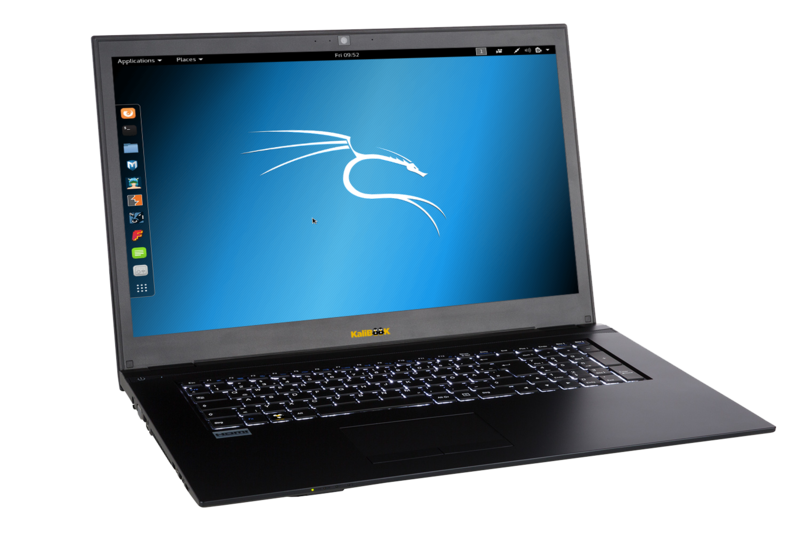 Kali Os pre-installed (test the software online!) + Tails Live Boot option "to hide your whereabouts." 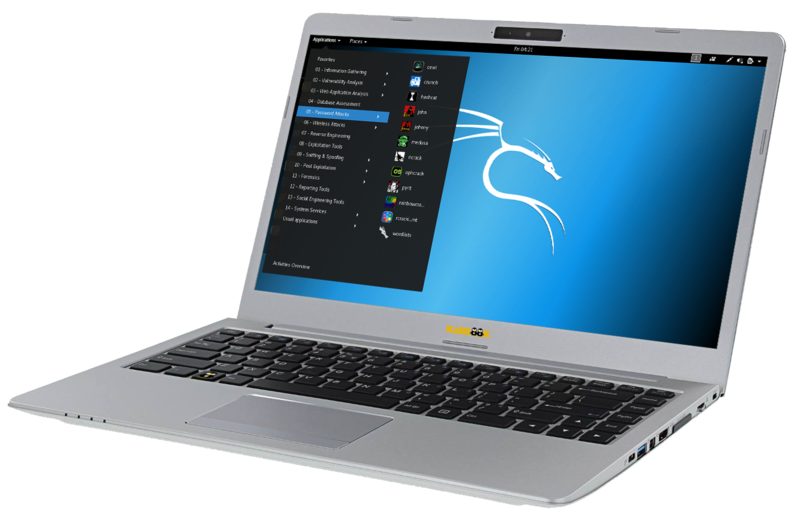 Now with default Tails and Kali Live Boot option "to hide your whereabouts." 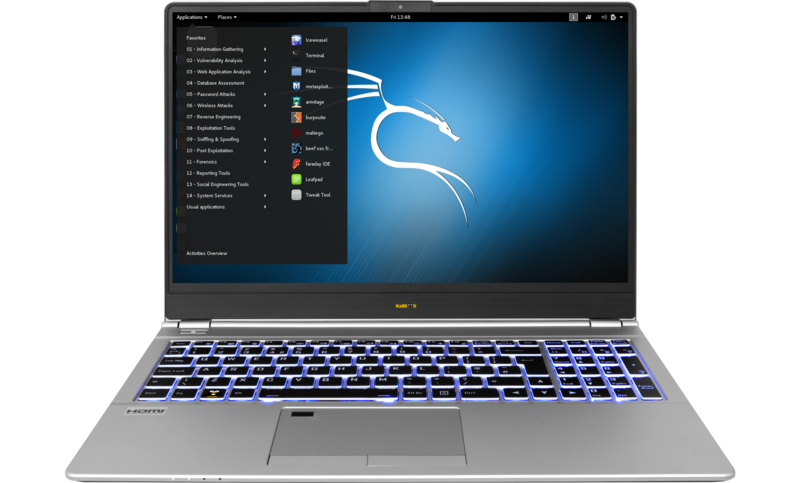 Kali Linux preinstalled,Now with default Tails and Kali Live Boot option "to hide your whereabouts." keyboard layouts: qwerty-us , azerty-be others on request.